Maximum comfort, soft on your skin. A blend of plant ellulose and fine cotton with a ministripe pattern, the Bio-Weave? Shirt is the latest in stylish business wear. 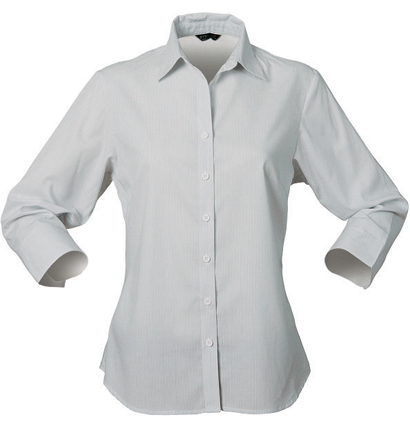 The men’s shirt features removable collar stays for a crisp finish, while the ladies’ shirt features a ? sleeve with buttoned cuffs. Both men’s and ladies’ styles feature a semi-fitted cut with a curved hem. Produced using an environmentally-friendly manufacturing process. One of the majors factors in deciding which promotional business shirt to choose for your employees, you need to factor in comfort and ease of wear. The Bio-Weave ladies shirt offers both. 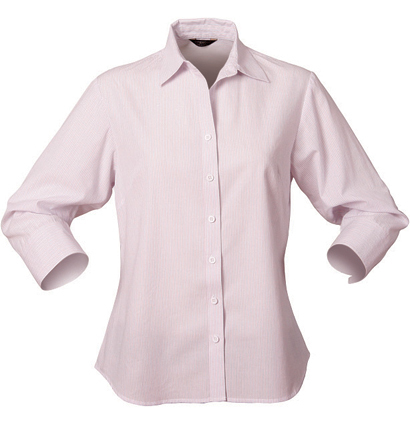 This ¾ sleeve ladies business shirt is a great option for any business – it’s comfortable to wear, soft against the skin, produced with eco-friendly manufacturing processes, and available in a large range of sizes ensuring you find a good fit for everyone. Available in three base colours – grey, baby pink and sky blue, these business shirts will help bring a little colour to the office. From the supermarket to the bank, a professional-looking business shirts are a great way to promote your business no matter where your employees may be. With a great logo print, you could be on your way to bringing more business in without breaking the budget or needing to do a lot of work – a good branded business shirt will continue to promote your brand for years to come. 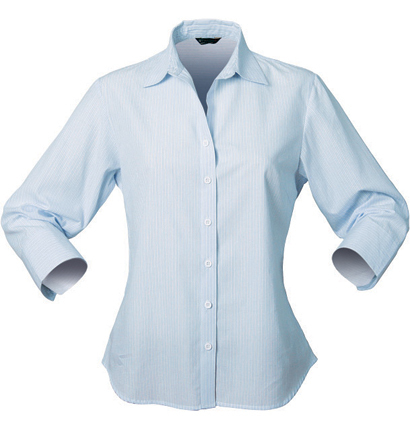 If you’re looking for an eco-friendly, comfortable to wear professional shirt for your business, look no further than the Bio-Weave promotional ladies shirt.